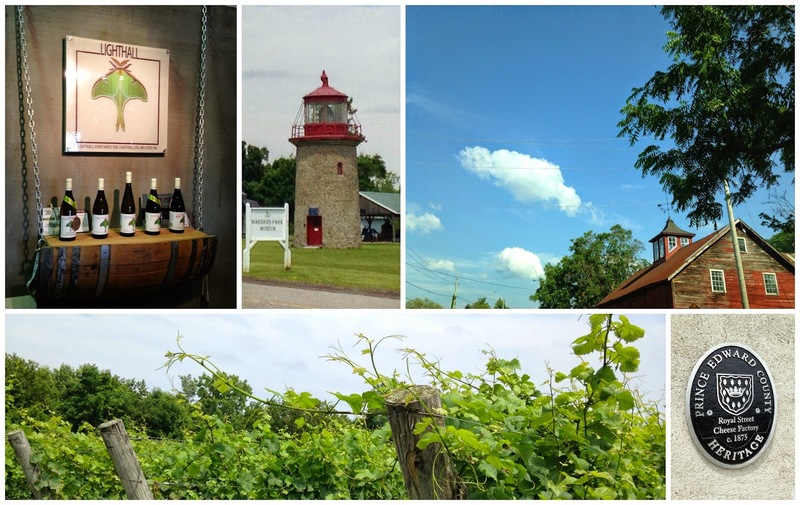 In addition to hanging out with John and Sasha during my last visit to the County, I did a quick tour of its southern tip, getting delightfully lost and off-track in the process, but still finding my way to a few wineries I had yet to visit. Lighthall 2011 Chardonnay - Two-thirds oak-aged, one-third steel fermented, then all tossed together to create this well-balanced classic. Caramel, butter and coconut aromas, with a creamy palate and restrained woody notes. Round, rich finish. Lighthall 2012 / 2013 Gewurztraminer - Remember that Pepsi Challenge Glenn was talking about at County in the City? I finally got to taste it. The 2012 from the Wismer vineyard had pronounced honey and spice, with a bit of tart apple to cut through the viscosity on the palate. The 2013 from the Malivoire planting had a huge floral nose and tropical fruit; the mouthfeel was similar, but the sharp bite of acidity lingered much longer on the finish. Exultet Estates 2013 Mysterium - Essentially, champagne without the bubbles. This white pinot noir has a muted nose akin to an unoaked chardonnay. Lovely fruit, with succulent apricot, honey and baking spice. Exultet Estates 2013 CruX Chardonnay - Minimal oak contact ensures a soft, round and balanced end product. Herbaceous mint aromas followed up with pineapple and pear. The oak notes of buttered toast appear on the elegant finish. Exultet Estates 2011 'The Beloved' Pinot Noir - It took some work to convince winemaker Gerry Spinosa that I might know a little bit about wine, enough to warrant a taste of his Beloved. That's when he brought out a lone bottle bearing a strip of duct tape marked "For Pinot Lovers ONLY". Eccentricities aside, Spinosa delivers with this remarkably crafted representation of all-County fruit. Slightly fortified aroma profile of orange peel, brandy and dark chocolate, the Beloved is "best served on its own, as it's hard to pair with anything," according to Spinosa. Decant for at least an hour before consuming if you plan on opening this any earlier than its five-year peak. I also had a chance to check out the Miller House, a recent addition to the Lake on the Mountain Resort. 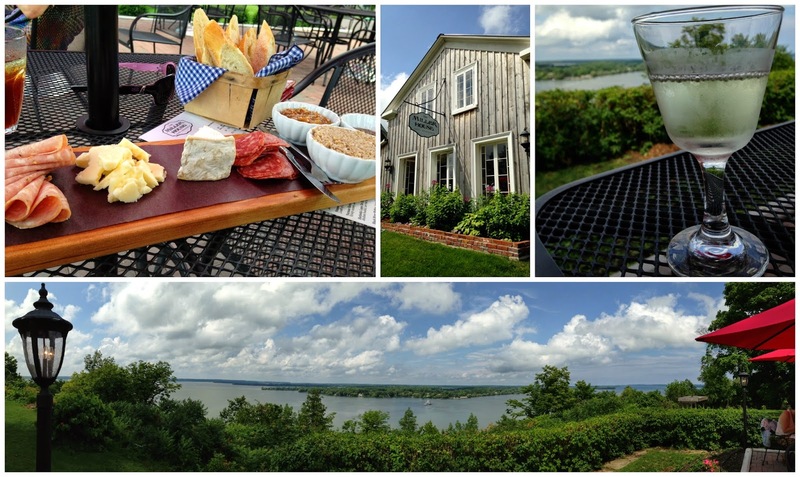 Perched atop the dramatic cliffs overlooking the Bay of Quinte and the Glenora Ferry below, the bistro's laid-back patio is perfect for late-afternoon noshing and sipping. The menu is all charcuterie, much of it from purveyors either within or not far beyond the County boundaries. I slowly made my way through a vast plate of Seed to Sausage hunters' and mild salami, Riopelle and six-year-old Black River cheddars, bacon marmalade, Cressy mustard and creton, all accompanied with warm baguette and a glass of Norm Hardie's Melon de Bourgogne. Its clear, crisp, wet-stone pucker contrasted nicely against the indulgent fattiness of the meats and cheeses. View was pretty darn good, too. Ohhh that Melon de Bourgogne. So good. Nice posts Bethany.